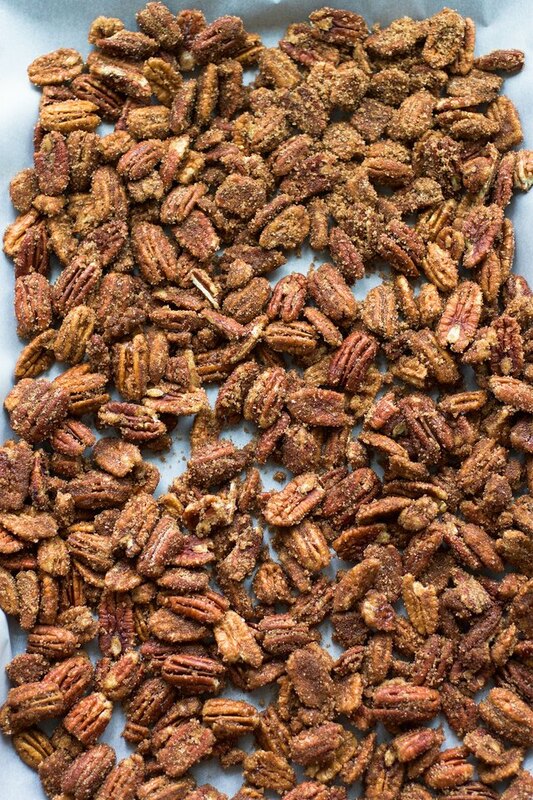 I love making candied pecans because they will keep for a couple of weeks after they are made and you can use them for salad toppings, ice cream toppings, trail mixes, or just simply to snack on by themselves. They are so delicious and fill your house with the best aroma. 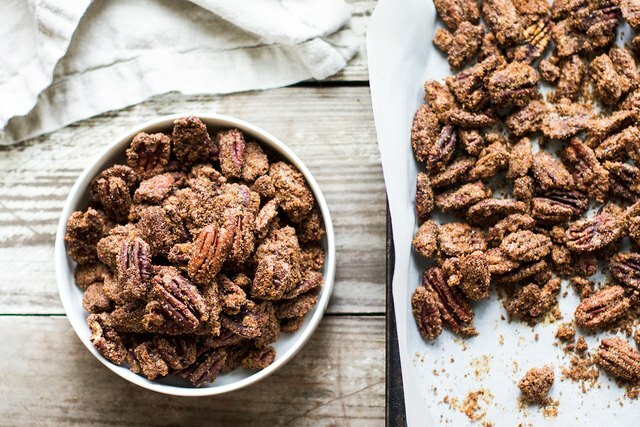 These candied pecans also make for a perfect party appetizer that no guest can refuse. Seriously. It's an easy recipe that everyone will love. I apologize in advance for how addicting these can be! Step 2: Add whisked egg white to the pecans. 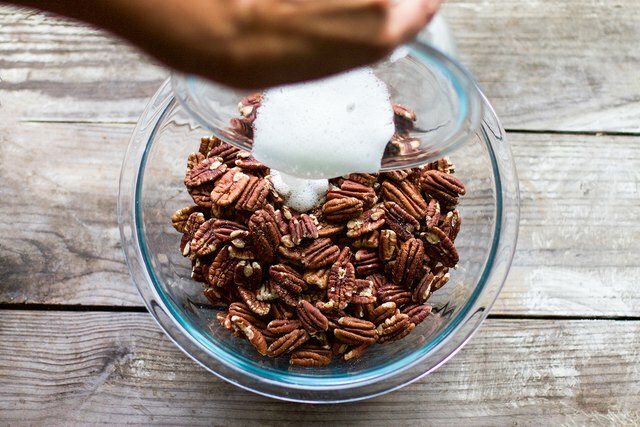 Add in the whisked egg white to the pecans and stir to coat evenly. Step 3: Add dry ingredients. Add the brown sugar, granulated sugar, cinnamon, and salt to the pecans coated with the egg white, and stir to coat evenly. 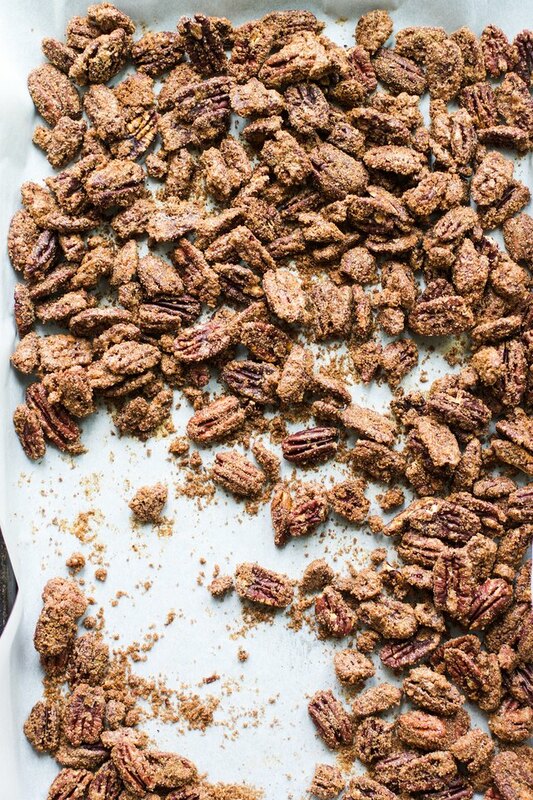 Step 4: Spread pecans onto a parchment lined baking sheet. 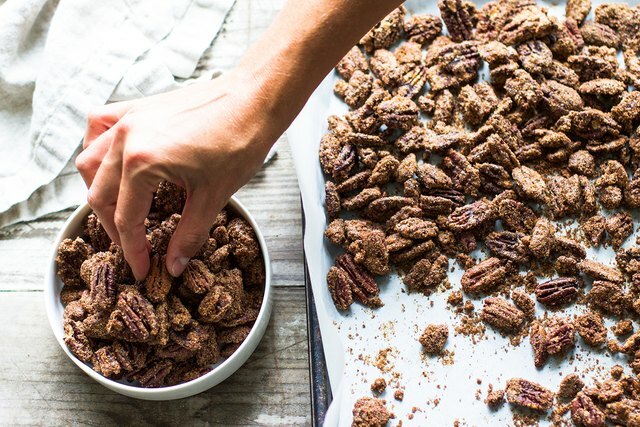 Spread the coated pecans into an even layer on a parchment lined baking sheet. Step 5: Bake for 40 to 45 minutes. 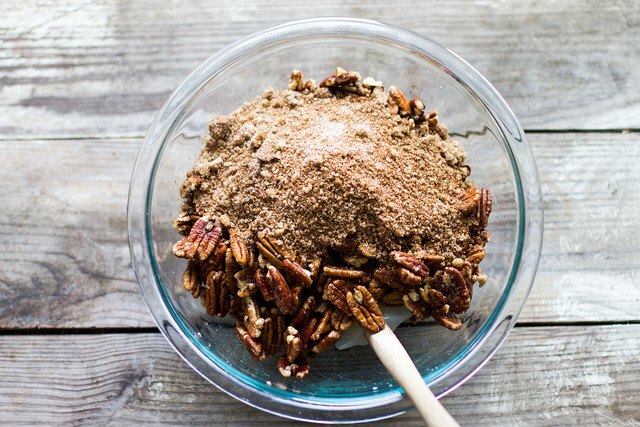 Bake the pecans for 40 to 45 minutes until golden brown stirring every 15 minutes for even cooking. Let cool and serve immediately, or store in an airtight container for up to two weeks. 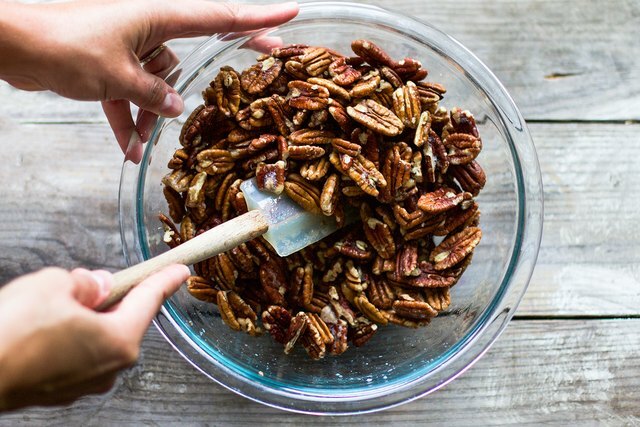 Set a timer for every 15 minutes to help you remember to stir the pecans and prevent burning. 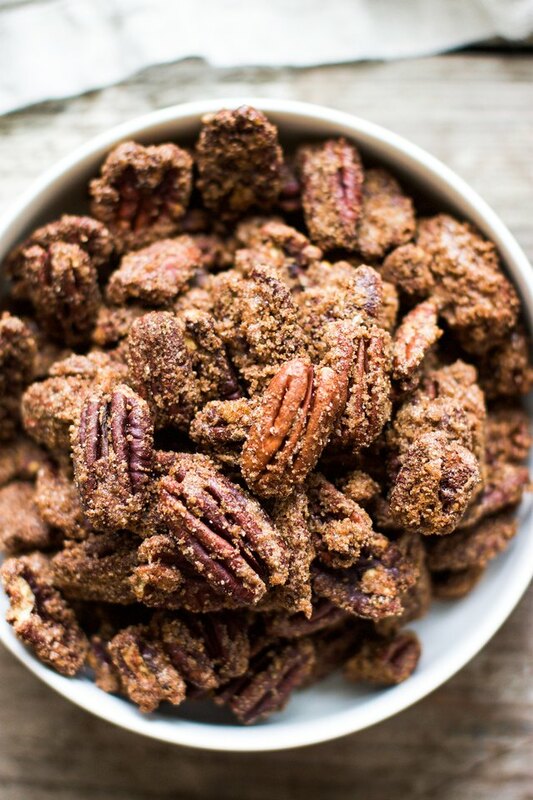 There are few things that smell more delicious than candied pecans in my opinion, and when you learn to make your own at home you will wonder why you haven't been making them all along. 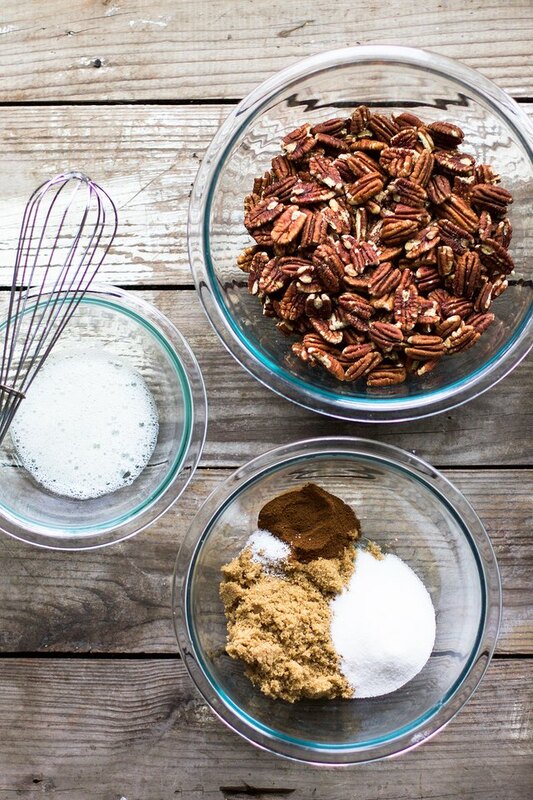 And, now that you know how to make a basic candied pecan, feel free to add in extra spices of your choice to add a little heat or different flavor! However you spice them, I can guarantee that you won't be able to eat just one!